I'll be honest - I pictured a flight on Spirit as a scary trip on a rickety, old clunker plane, hahah! It's a discount airline, so I was afraid things like safety or quality of the airplane would be compromised in exchange for cheaper rates. I almost always fly American, unless a better flight comes available. I also usually book roundtrip flights, but for my past visit to Texas I actually booked a one-way to DFW and a one-way back home to LAX - it was more cost-effective that way! I got a great deal on the departing tickets through American, but the returning flight got pretty expensive. That's when I decided to try Spirit! Spirit has something called a $9 Fare Club, which means if you pay an annual fee you get access to extremely low fares. When I say extremely, I mean like $23! Even with the $60 charge to join the Club, 3 one-way tickets + the cost of the membership came to WAY less than any other airline. I think it was about $150 for the three of us to fly home (total)....I just could not pass up that price, so I booked it and said a prayer haha. 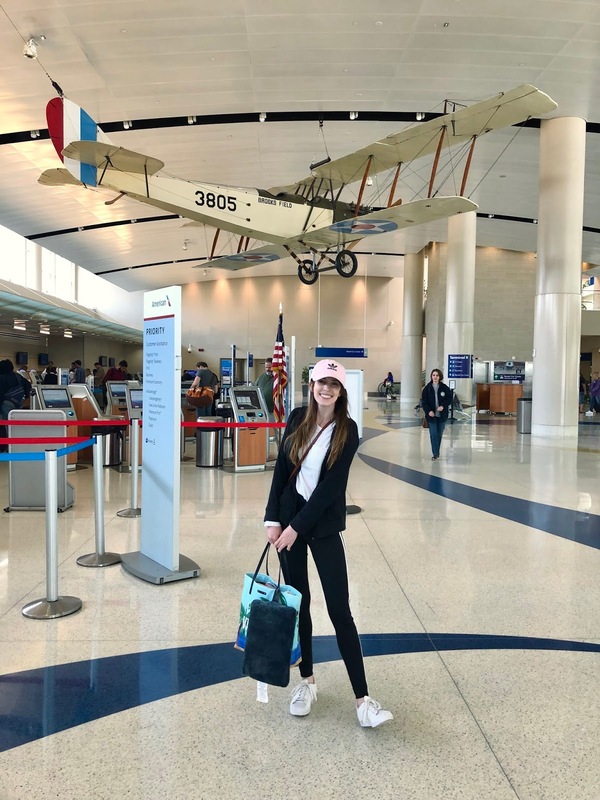 I had absolutely NO issues flying with Spirit - the plane felt totally safe and secure, the staff was polite and accommodating, and take-off and landing went very smoothly. Actually, the landing with Spirit was significantly better than when we landed in TX with American....not sure if that had to do with the pilot, the plane, etc. but the flight going home went off without a hitch. Their baggage policy is a real pain. Granted, they're advertised as a "no-frills" airline, but when it comes to bags be prepared to pay. The only thing you can bring with you for free is a backpack or large bag (aka a personal item) - carry-ons and checked bags get pricey. 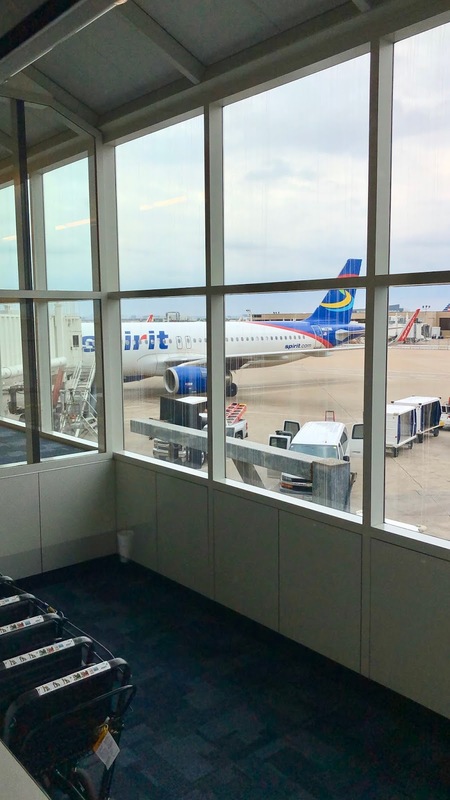 Unlike most airlines that allow checked bags up to 50 lbs, Spirit's policy is only 40 lbs. If your bag is over 40lbs, you have to pay the checked bag fee PLUS an additional $30. You could be looking at over $100 just for bags if you bring a carry-on and a checked bag, which kind of defeats the purpose of the inexpensive flight. So, you have to be meticulous about what & how you pack. Here are some rows of seats - I rushed to snap a pic as I got off the plane! The only other thing I didn't like about the flight is how cramped the cabin is, as you can see in the photo above. 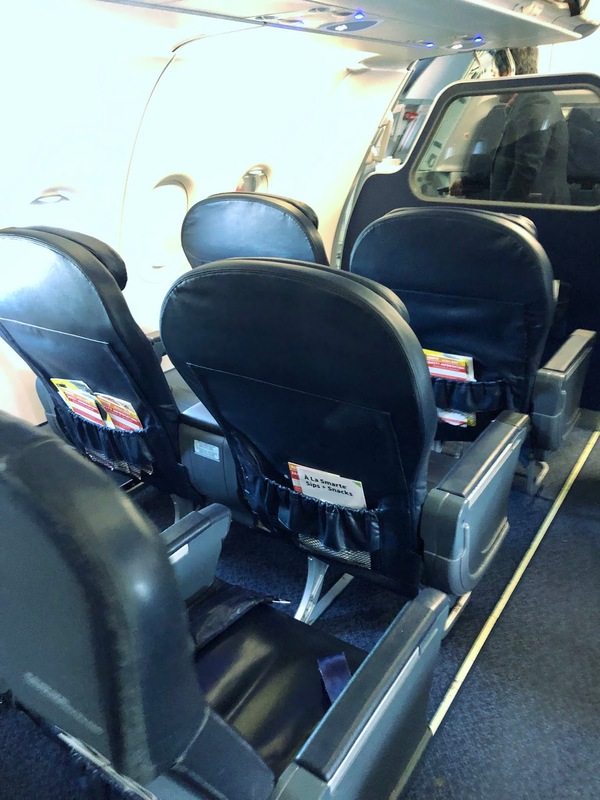 You have very little room in between your seat and the seat in front of you. There is enough space to shove your bag/backpack underneath the seat, but there really isn't any extra space. Oh! The other thing that's slightly annoying is you have to pay for drinks (even water) during the flight, but it is "no frills" after all. These two things I can live with, though - just minor inconveniences. I would definitely fly with Spirit again if the price is right. I don't think it would work for me if I was traveling a long distance or a long time, as I would need a couple of bags and the fees would add up. But, for a short domestic trip, I could easily be smart about what I pack and keep the cost minimal. I am happy to report everything went smoothly!